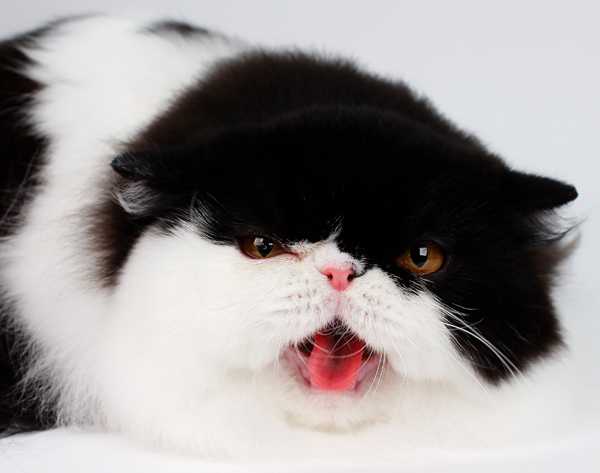 Cats do barf a lot, but vomiting too much could signal a health problem. Here's what to look for. Editor’s note: Have you seen the new Catster print magazine in stores? Or in the waiting area of your vet’s office? This article appeared in our September/October 2016 issue. Click here to subscribe to Catster and get the bimonthly magazine delivered to your home. 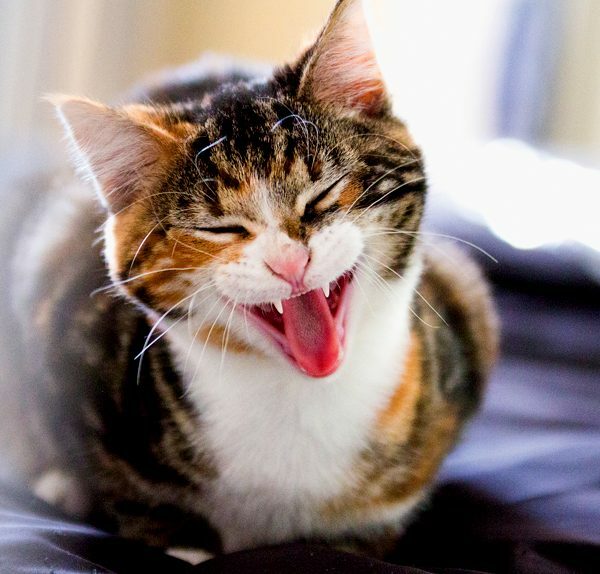 Cats have something of a reputation for vomiting, and they vomit more easily than other animals. But that doesn’t mean you should overlook it. Vomiting can indicate a range of problems from the simple to the severe. Common, less serious causes of vomiting include hairballs, intestinal worms, and eating plant material. Sometimes vomiting is a reaction to a new diet or simple digestive upset from snarfing food too quickly. Frequent vomiting — more than once a week — is cause for concern because it can be a sign of illness or poisoning. And cats who vomit frequently can end up with severe dehydration. When should you be concerned about your cat’s vomiting? Cats can get upset tummies if they dig something out of the trash or gulp down a dead bird or other animal. This type of “dietary indiscretion” is formally known as acute gastritis, but you can call it garbage gut. (Your veterinarian probably will.) An allergy to a particular food ingredient can also cause vomiting. More complex and major causes include poisoning, cancer, stomach ulcers, heat exhaustion, viral or bacterial infections, hyperthyroidism, heartworm disease (cats get it, too), and diseases of the digestive tract. A foreign body blocking the stomach or upper intestine is another possible cause with serious consequences. Cats are notorious for swallowing what we veterinarians call linear foreign bodies, such as holiday tinsel, yarn, string, and thread. The first thing to know is when your cat last ate. That’s one of the many reasons I always recommend feeding cats at set times instead of leaving food out all day. Your cat’s digestive system works fast. The stomach has usually emptied out six to eight hours after the cat’s last meal. If he’s urping up food when his tummy should be empty, his stomach may be blocked. Projectile vomiting? Cats who suddenly spew forcefully over what can be a surprising distance may well have a complete blockage of the upper gastrointestinal tract. Senior cats who vomit frequently for no apparent reason should be tested for kidney disease. That’s especially true if they also drink a lot more water than usual and flood the litter box with urine. Blood work and a urinalysis can determine whether your cat’s kidney function is declining, a common problem in cats as they age. Vomiting in young kittens, especially if it comes on suddenly, is often a sign of a viral disease called panleukopenia. This is most common in kittens who weren’t vaccinated properly. Cats might vomit if they’ve been poisoned by nibbling a plant treated with pesticides or insecticides, licking up antifreeze, or getting into medication or another substance that not only doesn’t agree with them but is toxic to boot. 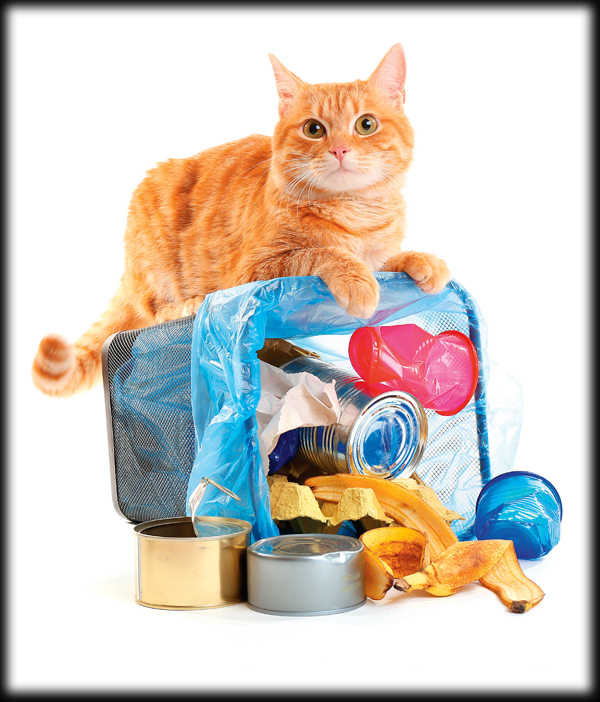 If you suspect your cat has ingested something poisonous, get him to the veterinarian right away, or call a pet poison control hotline, such as the ASPCA Animal Poison Control Center (888-426-4435), the Angell Animal Poison Control Hotline (877-226-4355), or the Animal Poison Hotline (888-232-8870). Never induce vomiting at home unless your veterinarian recommends it. Some substances are worse for your cat coming back up than they are exiting his body the normal way. Another emergency situation is vomiting accompanied by diarrhea or that has blood in it, looks and smells like feces, or contains what looks like coffee grounds (which is really partially digested blood). The cat may be bleeding internally or obstructed by a foreign object. Other possible causes are stomach cancer or ulcers. Vomiting combined with diarrhea can leave a cat dangerously dehydrated in short order. When should you take your cat to the veterinarian? In a cat with no other signs, a single episode of mild vomiting after a meal or nibbling on some grass probably isn’t a problem. Any time your cat vomits more than once in 24 hours and has other signs such as depression, pale gums, severe abdominal pain, rapid or labored breathing, or any of the other serious signs mentioned above, go to the veterinarian immediately. If you can bring a sample of the vomit, all the better. About the author: Dr. Marty Becker, “America’s Veterinarian,” has spent his life working toward better health for pets and the people who love them. The author of 24 books, Dr. Becker was the resident veterinary contributor on Good Morning America for 17 years. He is currently a member of the board of directors of the American Humane Association, as well as its chief veterinary correspondent; a founding member of Core Team Oz for The Dr. Oz Show; and a member of the Dr. Oz Medical Advisory Board. When his schedule allows, he practises at North Idaho Animal Hospital. Connect with him on Facebook, YouTube, Pinterest, Twitter, and Google Plus.